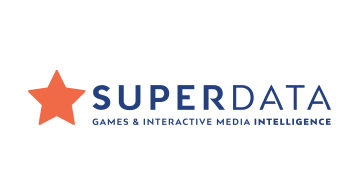 Founded in 2009, SuperData is the leading provider of market intelligence on free-to-play and digital games. By collecting transaction data directly from publishers and developers, SuperData identifies key trends, establishes revenue estimates and analyses market changes for popular games and markets worldwide, from digital console and PC titles to social, mobile and MMO. SuperData publishes industry-relevant key performance indicators. Using our proprietary data set—delivered directly from publishers and developers—on over 47 million paying digital gamers, we establish monthly benchmarks such as ARPPU, conversion rates, lifetime value, and revenues. Customers use our data to evaluate their performance, identify key growth opportunities, assess revenue potential, optimize their efforts, and better understand their audience’s wants and needs. SuperData’s client base includes brand owners, developers, retailers, publishers, hardware makers, and payment service providers.